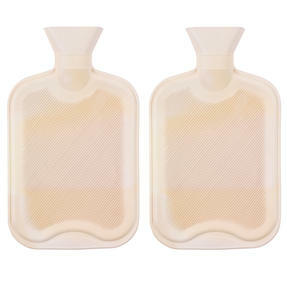 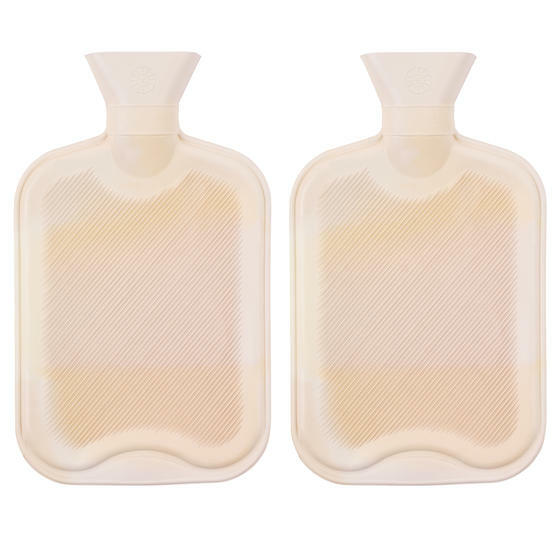 Specially designed to provide you with long lasting warmth, these Beldray hot water bottles also effectively relieve tension and remedy pain. 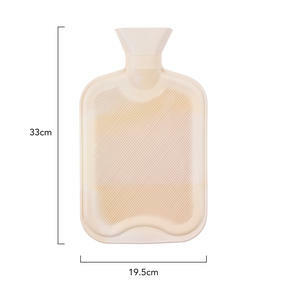 Simply release the screw top lid and fill with up to 2 litres of hot water to quickly ease aches and pains, the bottle will radiate heat for hours of relaxing comfort. 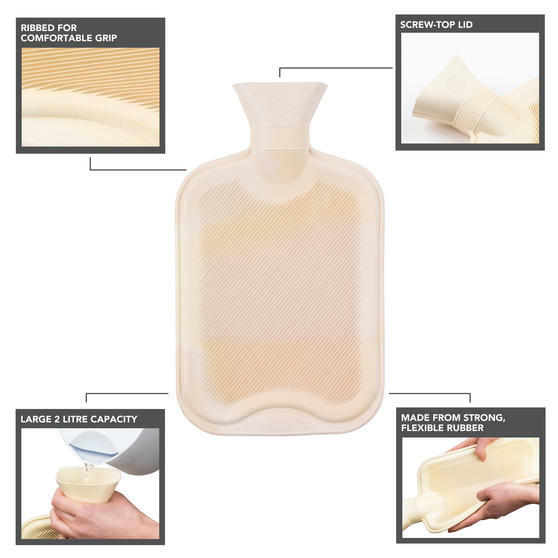 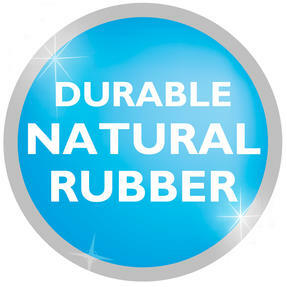 Made with natural rubber which is ribbed for easy grip, keep the bottle by your side as you unwind on the sofa, wrap up in a cosy blanket or climb into bed, for lovely soothing warmth. 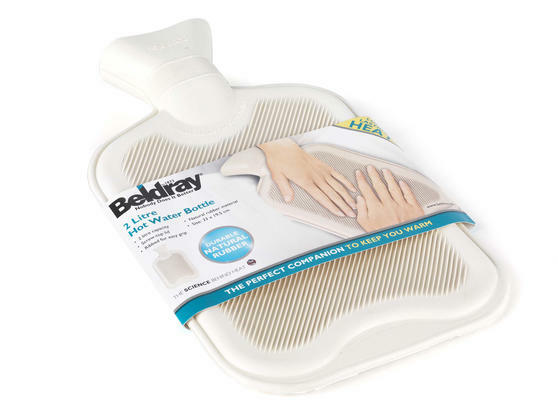 Revive tense muscles and soothe sore areas with these Beldray hot water bottles, a brilliantly simple solution for keeping warm. 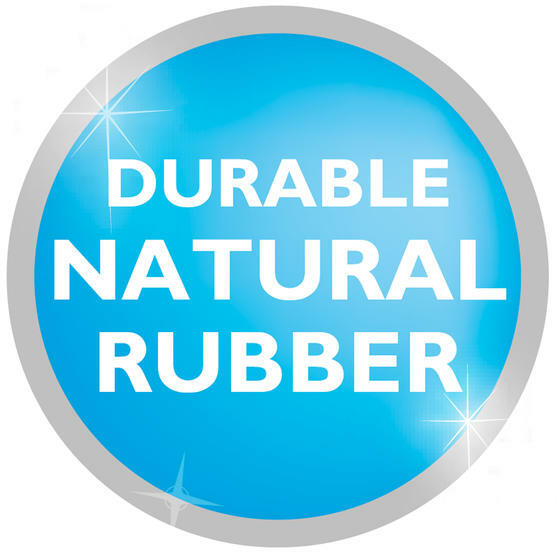 Made with natural rubber which retains heat for much longer, the water bottle can be used at home, in the office or whilst travelling. The soothing blend of heat and flexible rubber effectively provides relaxing warmth and relieves discomfort from instant application. 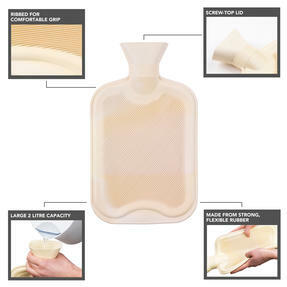 Unscrew the top lid to effortlessly fill the bottle with hot water and apply comforting warmth for a completely natural remedy to pain. 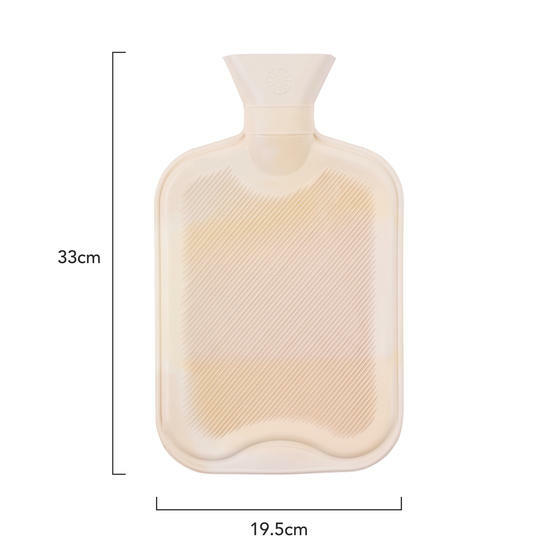 Incredibly durable and versatile, the bottle can target specific pain areas, aiding back ache, muscle tension, period pain and more.